Click here to view our delivery area and cost. Wayside DOES NOT price, deliver, pickup, or service outside of Northeast Ohio. Hi, I'd like to show you this page I found on Wayside Furniture's website. 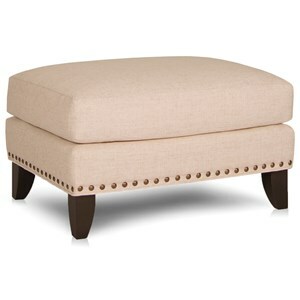 This upholstered piece has a variety of fabric choices. Wayside may stock this piece in a different fabric than pictured here. 'Starting At' price is the price for the lowest fabric grade on this frame and prices may vary based on fabric selected. Call today for full details on fabrics and pricing. This piece of furniture was precisely crafted and hand-tailored, meaning that it will be a long-lasting addition to your home. These American-made pieces come from a manufacturer with over 100 years of experience in the furniture industry, using the traditional Amish principles of craftsmanship alongside modern furniture technology to create incredible quality furniture. Make this piece of furniture distinctly yours and complement your room décor by choosing the perfect fabric or leather from a huge range of options. Pieces that show exposed wood or nailhead trim are available with customizable wood finish or nail color options. If the quality of your furniture is as important to you as its style, then this transitional chair will make a perfect addition to your living room. With its tall wood legs, nailhead trim, and classic silhouette with rolled, flare tapered arms, this piece will effortlessly step up the style in your decor. Making it a perfect fit for your home is easy as well since you can customize the finish of its legs and the material and color of its upholstery. Plus, you can put your mind at ease knowing this chair was constructed with high quality materials and techniques right here in the USA, so it's guaranteed to last as long as its timeless design. 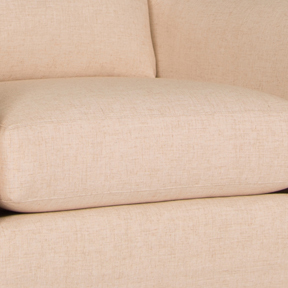 Just as much care went into guaranteeing this piece is the most comfortable it can be too, so it's sure to quickly become your new favorite spot to sit. The 249 Transitional Stationary Chair with Nailhead Trim by Smith Brothers at Wayside Furniture in the Akron, Cleveland, Canton, Medina, Youngstown, Ohio area. Product availability may vary. Contact us for the most current availability on this product. Fabric Options More than 900 covers to choose from (leather and fabric). Leg or Skirt Built-in legs are an integral part of Smith Brother?s frame construction and increase the durability and life of the furniture. Wood & Finish Brown finish on legs. Multiple finishes available. Frame Construction Each piece is hand-cut and hand-assembled, using only the finest kiln-dried maple hardwoods. All frame joints are double-doweled and corners feature corner blocks secured by both glue and screws. Legs are built into frame. Seat Support Under each single-seat cushion is a pre-engineered, heavy-gauge coil-spring unit with an elevated front support edge that ensures individual comfort for each person. All spring connections are insulated to ensure silence. Padding & Ergonomics A 2.5 lb density polyurethane foam, is considered the highest quality foam available in the upholstered furniture industry. Qualux ? Ultra is standard in every seat cushion enabling us to offer a lifetime guarantee against loss of resiliency. Warranty Smith Brothers proudly offers a lifetime warranty on hardwood frames, spring units, and Qualux Ultra seating cushions and a two-year warranty on tilt-back and swivel mechanisms. 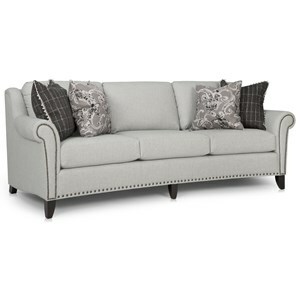 You deserve high quality, well-made furniture, and with this American-made living room collection, you can have it. With their nailhead trim, exposed wood legs, and rolled, flare tapered arms, these seating pieces' transitional designs are sure to be a timeless investment into your decor. This enduring style combined with the skilled construction of these furniture pieces guarantees they'll be a big part of the memories you make in your home for years to come. 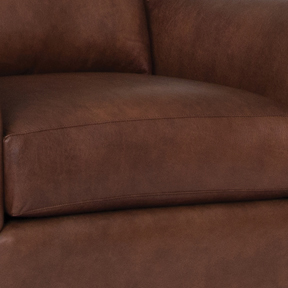 Plus, you can customize the finish of this collection's legs, as well as the material and color of its upholstery, so you can be confident you're making a perfect fit for your personal tastes. The 249 collection is a great option if you are looking for Transitional furniture in the Akron, Cleveland, Canton, Medina, Youngstown, Ohio area. Browse other items in the 249 collection from Wayside Furniture in the Akron, Cleveland, Canton, Medina, Youngstown, Ohio area. Wayside Furniture features a great selection of living room, bedroom, dining room, home office, entertainment, accent, furniture, and mattresses, and can help you with your home design and decorating. View recent additions to our online furniture gallery. Wayside Furniture offers great quality furniture, at a low price to the Akron, Cleveland, Canton, Medina, Youngstown, Cuyahoga Falls, Fairlawn, Barberton, North Canton, Hudson, Strongsville, Elyria, Mentor, Euclid, Parma, Lakewood, Medina Ohio area.